"Isaac Bustos…electrified the audience with his note-perfect performance of Castelnuovo-Tedesco’s Concerto No. 1 in D, Op. 99"
"This CD [Caprichos y Sonatas] is one of the best I’ve heard…Bustos opens with strength and panache adorning the lovely phrases with shimmering mordent sequences and precisely calculated articulation"
"In warm, round tones, the notes of Bach cascaded from the guitar, every note correct and played without hesitation." 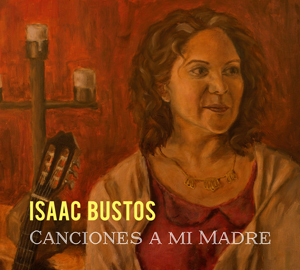 My latest CD: Canciones A Mi Madre is now available!